Ever wonder what French celebrations happen during the winter? 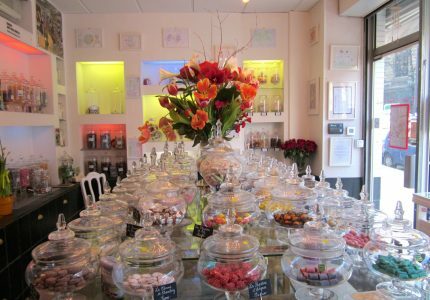 Keep reading to learn about some of France’s most common celebrations from December to February. ‘Tis the season to celebrate! I. La Saint Nicolas is celebrated on December 6th. Although Saint Nicolas is not celebrated throughout all of France, he is mostly celebrated in the provinces of Alsace, Lorraine, and Flanders. In Saint-Nicolas-de-Port and Nancy, where Nicolas is the patron of all Lorraine, thousands of the faithful come on pilgrimage for his feast day. The celebration is festive—with music and a parade of beautiful floats for the saint’s magical arrival, escorted by Père Fouettard – the character who accompanies St. Nicolas, but gives out coal to the naughty children. At the Town Hall the Mayor gives the good saint the key to the city. The grand evening ends with a big fireworks display. On the eve of December 6th, children leave out shoes near the chimney in hopes of receiving small gifts. Saint-Nicolas is often portrayed as a tall thin man with a long white beard, all dressed up in silk garments, carrying a bishop’s mitre and holding a crosier. II. Le réveillon refers to the super late supper after midnight mass on December 24th. The meal varies according to region. In Paris, one could expect oysters, foie gras, and bûche de noel (the Yule log cake). The bûche de noël is a symbol of an old tradition where farmers used to burn a log from Christmas Eve to New Years Day. The potash was used in the next farming season as a symbol of good luck and prosperity. Other regional meals include galettes (buckwheat crepes) with sour cream in Bretagne, roast goose in Alsace, and in Burgundy, turkey with chestnuts. Little kids do not necessarily attend the midnight mass, but rather go to bed early and wait for père de noël to visit their home and drop off gifts. Children used to leave out wooden clogs called sabots near fireplaces to be filled with gifts. Today any shoes are used. III. Christmas Trees and Nativity Scenes. 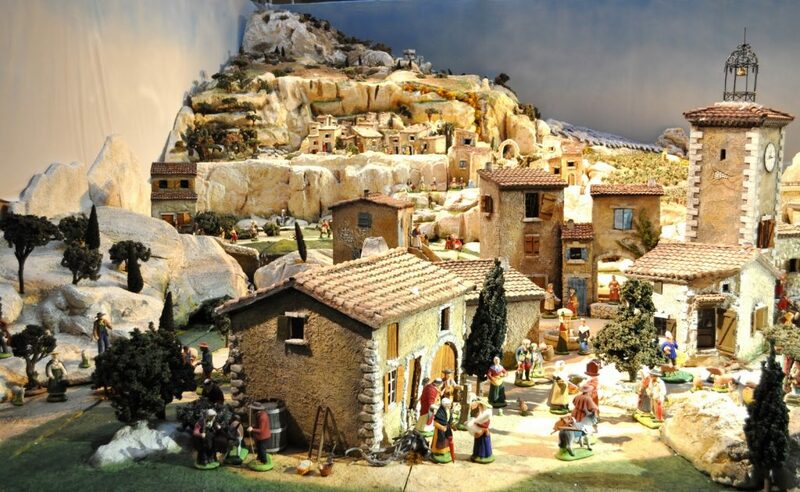 Throughout the Christmas season, Christmas trees and nativity scenes can be found in France. Although le sapin de noël is more of a German tradition, the first French Christmas tree was in Strasbourg in1605. Parisian store fronts are also well known for their elaborate Christmas trees. The Crèche or nativity scene, was introduced in Avignon by the family of Saint Francis of Assisi between 1316 -1334. However, not until the 16th century did this tradition of making crèche or grebbes (old French) become popular. IV. Christmas markets or les marchés de Noël are another tradition of the holiday season. All French Christmas markets find their origins in Alsace. Indeed the proximity of the region to Germany gives Alsatian and French Christmas markets a distinctly Germanic touch. This is apparent in the structure of the market stalls, which are little wooden houses resembling mountain chalets, covered in lights and decorations. The oldest Christmas market in Europe is that of Strasbourg, which dates back to 1570. V. La Saint – Sylvestre or Le réveillon du Nouvel An both refer to New Year’s Eve. 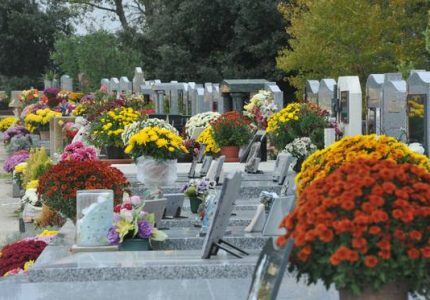 December 31st is commonly spent with family and friends. The meal shared on New Year’s Eve is similar to Christmas, plus lots of Champagne! Besides enjoying a meal at home, it’s also common to go out to eat at restaurants. It’s tradition to kiss under le gui or mistletoe at the stroke of midnight. Once the New Year hits, it’s common practice to give out greeting cards. This practice is more popular than giving out Christmas cards. 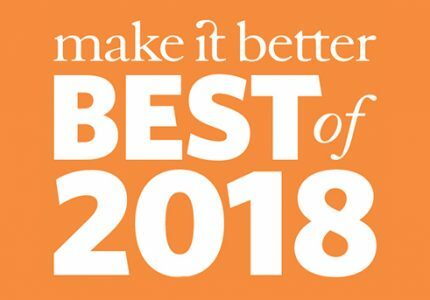 Another New Year’s tradition is called étrennes, the practice of giving out small gifts to those who serve you regularly such as the concierge or the post man. VI. 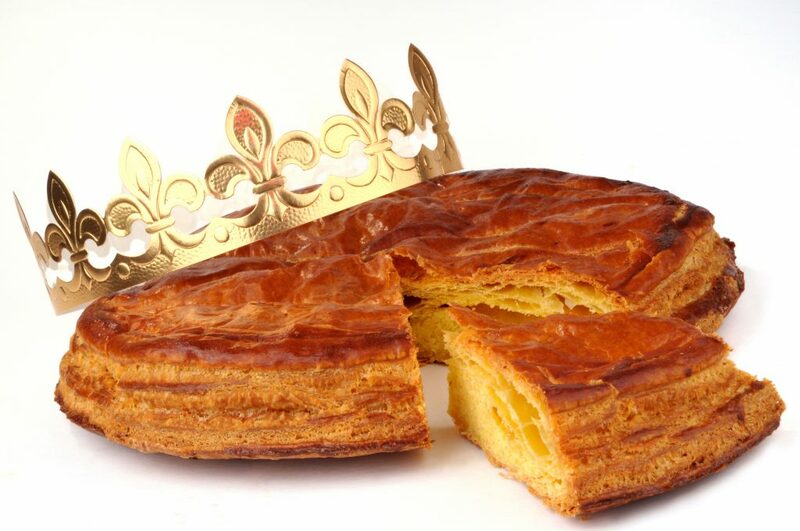 La fête des rois is a family tradition around the Catholic holiday of Epiphany (January 6). The tradition dates back to Roman times and involves the sharing of the Galette des Rois, a puff-pastry tart that nowadays one can find in bakeries in France from late December into January. Filled with almond-flavored paste, the delicious tart also contains a plastic or ceramic trinket inside, called la fève due to the fact that it was traditionally a broad bean. The trinket is hidden in the cake, and the lucky person who finds it in their piece gets to be king or queen for the day and wear the golden crown that comes inside. VII. La Chandeleur (Candlemas or Crêpe Day) is celebrated in France on February 2nd, 40 days after Christmas Day. The origins of the celebration date from ancient times, but over the centuries many French regions have created their own traditions to ward off evil spirits, or guarantee prosperity for the coming year. So how did pancakes become associated with the festivities? It is said that the round, golden shape resembles the sun, and reminds people of the warmth and fertility of spring. 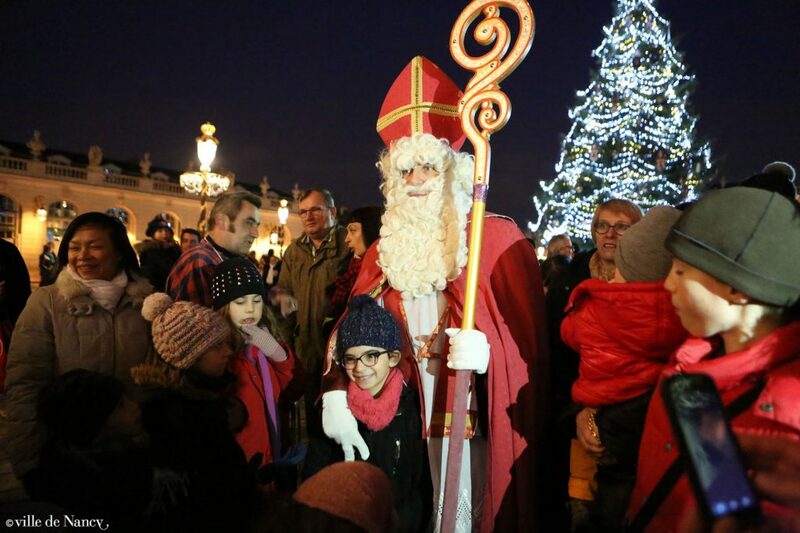 St. Nicolas wearing his mitre and holding his crosier greets children in Nancy, France. The crèche in the Hotel de Ville Avignon is 600 sq. feet! 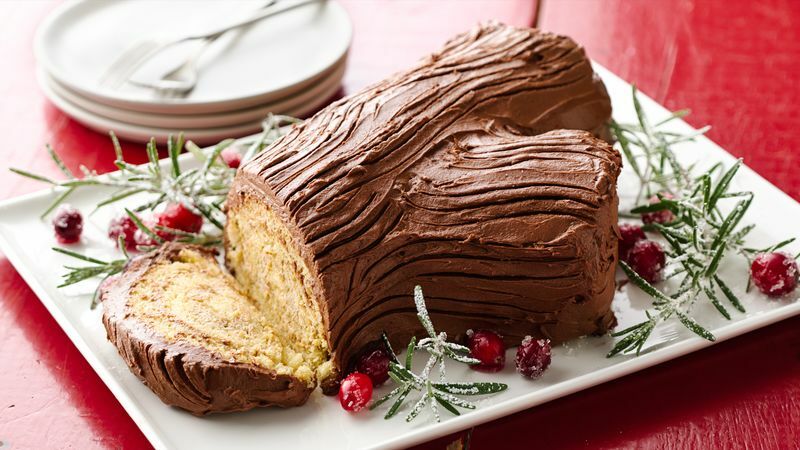 The buche de noël is a rolled cake decorated to resemble the Yule log and the tradition of using holiday potash in next year’s crop as an act of good luck. Traditional galette des rois including the hidden fève and crown.